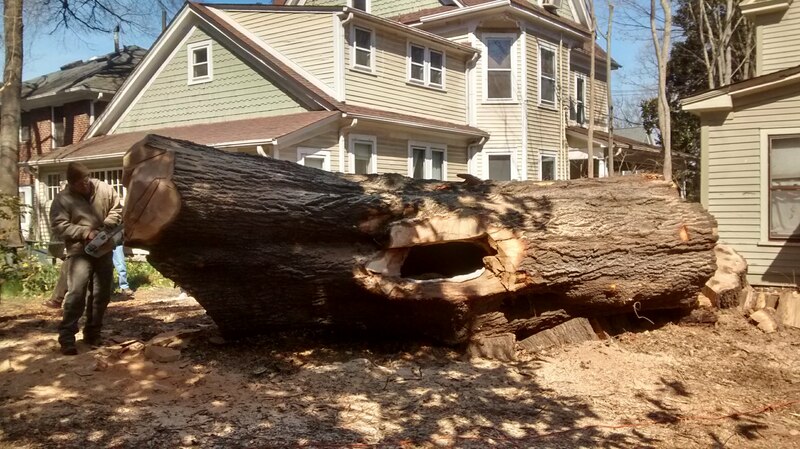 There was a gigantic red oak tree that towered over Paul and Barbara Phillips’ house at 805 Rankin Place. The house was built in 1910, and the tree probably was there then. 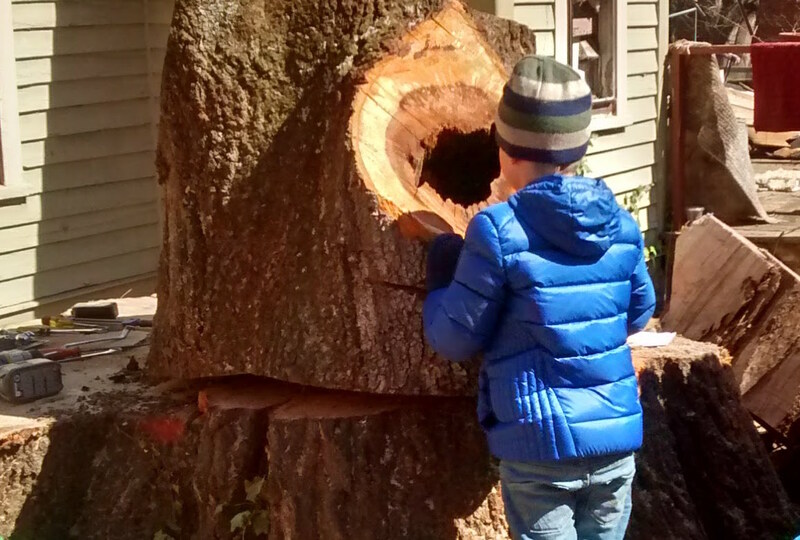 By last fall, it was clear that the tree’s health was failing, and it had to come down. After weeks of work, it had been taken down this week, and the branches had been cleared away. Sam Bridges of Bridges Tree Service invited some folks over Friday to say goodbye. Chainsaw artist Ericksen Krietemeyer carved a bear into one end of the trunk. 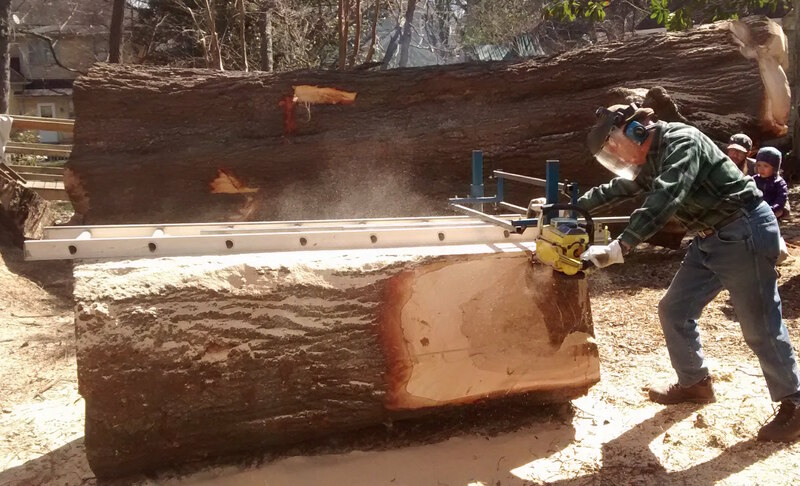 Master furniture craftsman Joe Schoolcraft came over from Sunset Hills to saw through a seven-foot length of trunk for wood to turn into tables. 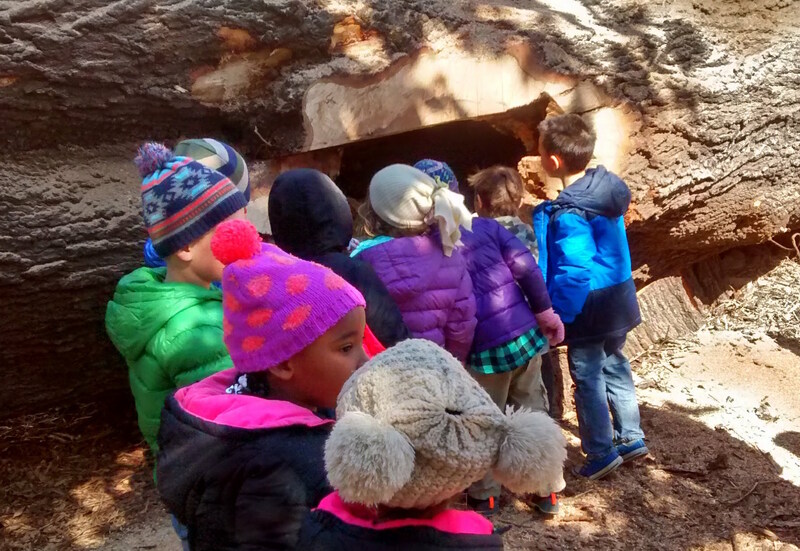 A preschool class of five-year-olds from First Baptist Church arrived to see something big happening. 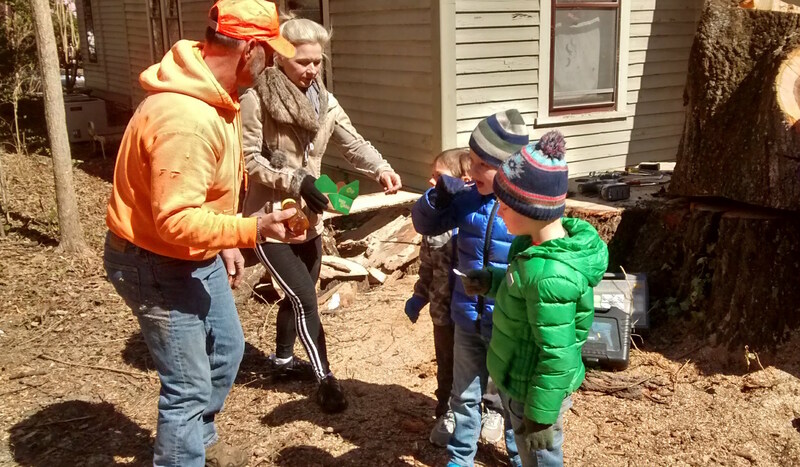 Some their parents came, too, and neighbors from Rankin and Mendenhall and Carr, a videographer from Fox8 News and two officials from the city’s Historic Preservation staff. Over the course of an hour and a half or so, some 30 people paid their respects to one of College Hill’s grandest trees. 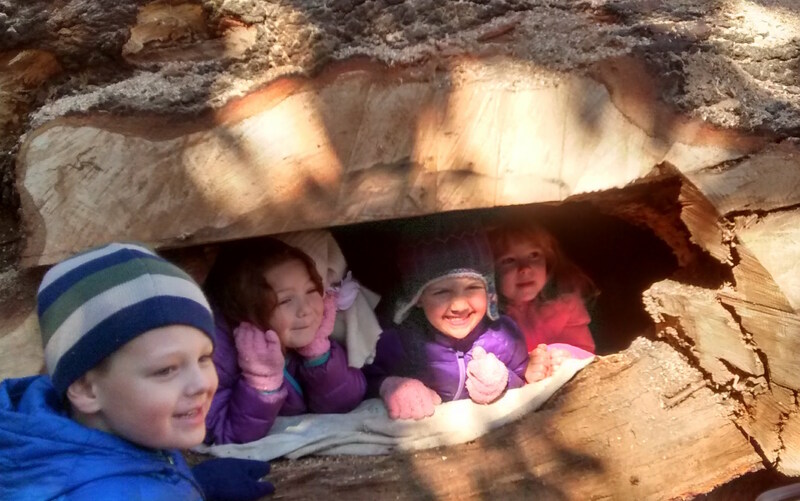 It was a more fitting end that most trees get, even great ones like this. Our neighborhood’s tree canopy is one of our great assets, one that requires care, respect and awareness to maintain. Events like Friday’s should become a tradition, one that will help keep us from taking our trees for granted. 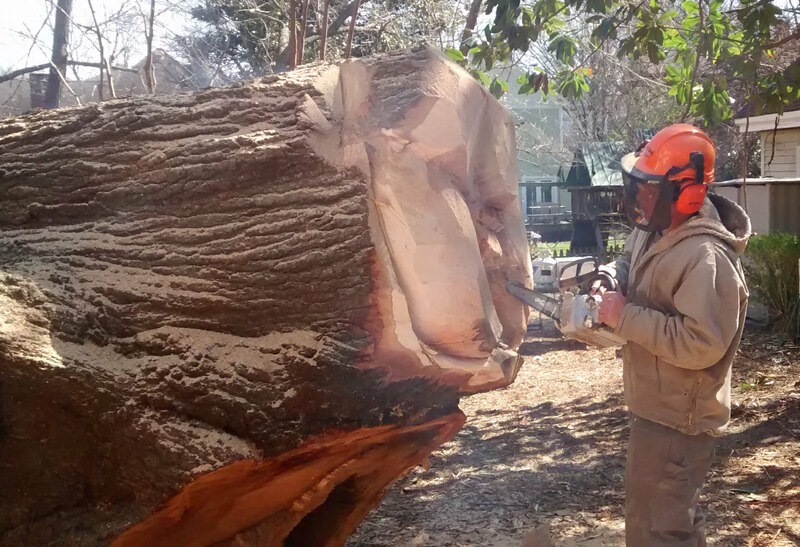 Chainsaw artist Ericksen Krietemeyer carves a bear into one end of the giant tree trunk. 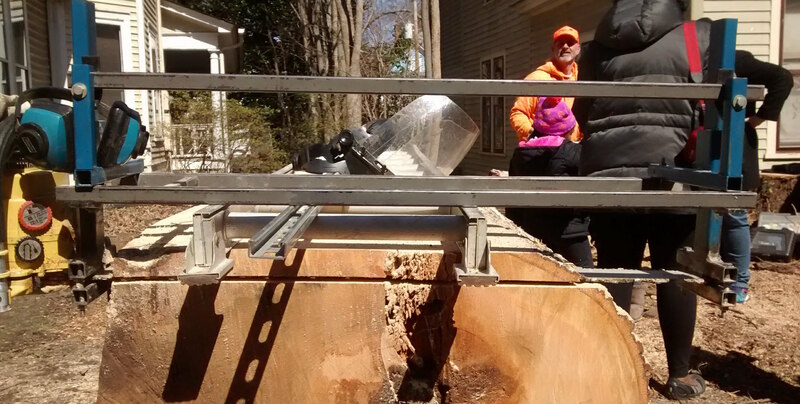 Joe Schoolcraft begins sawing through a seven-foot section of the tree. … and then get a taste of pure honey straight from the tree. 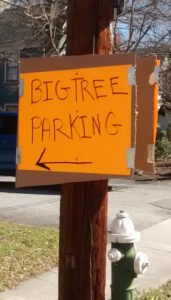 This entry was posted in Rankin Place, Trees. Bookmark the permalink.